Full Text: This option searches across both the full text AND the metadata of all documents in all HeinOnline databases. From inside a database, this search option is database-specific. Citation: Use this tab to search for specific citations across all databases. 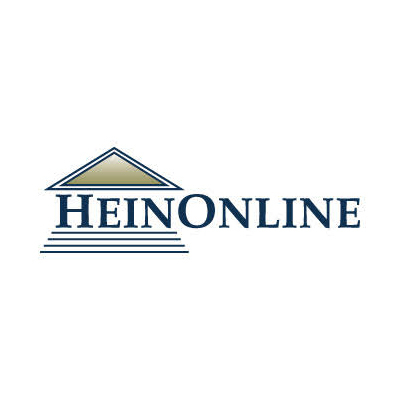 Citation formats used in HeinOnline include Bluebook and alternate citation formats derived from Prince’s Bieber Dictionary of Legal Abbreviations and the Cardiff Index to Legal Abbreviations. Clicking this tab from inside a database will also reveal a link to a collection-specific citation navigator, if one is available. Catalog: This tab will search across the MARC records of all titles available in HeinOnline. 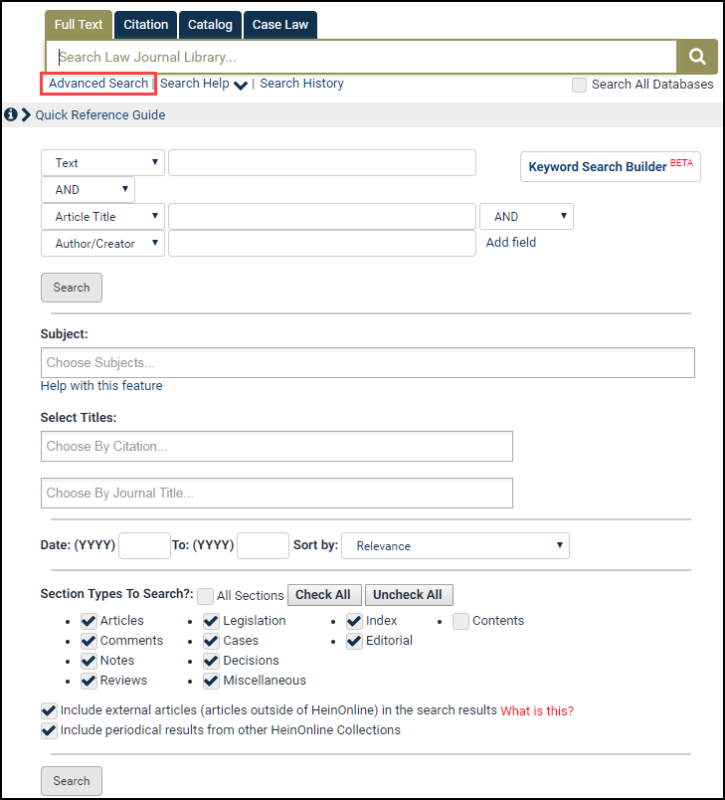 Use this option to search for publications such as journals or books. 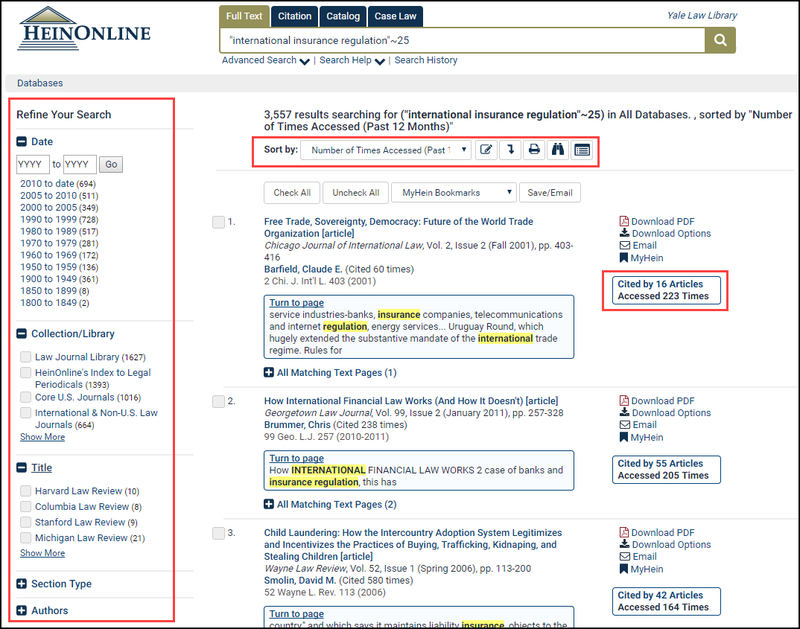 Case Law: Enter a case citation to retrieve the full text of case law from either HeinOnline or Fastcase. Use available metadata fields to formulate a more specific search; these fields will differ depending upon the database being searched. Search within one or more selected subjects and/or titles. Input a date range to further limit search results. Sort search results by relevancy, volume date, and more. Choose one or more section types in which to search. Use the facets on the left side of the screen to refine search results based on database, section type, date, and more. Use the pencil and arrow icons, located next to the sort by bar, to modify your search or to search within results. Find related material by clicking on “cited by” links. Look for the ScholarCheck icon throughout the database to view material that pertains to your research topic. or the Milne Library A-Z Database list. Next story You too, can have THE POWER, with Gale PowerSearch! Previous story American Antiquarian Society Historical Periodicals Collection at Milne!